Discover Elcocarb B/SP and Elcocarb G/SP, our new carbon pastes with unprecedented characteristics. Formulated specifically for screen-printing and slot-coating, these carbon inks allow to easily deposit highly conductive carbon layers in photovoltaic solar cells and other electrochemical devices. 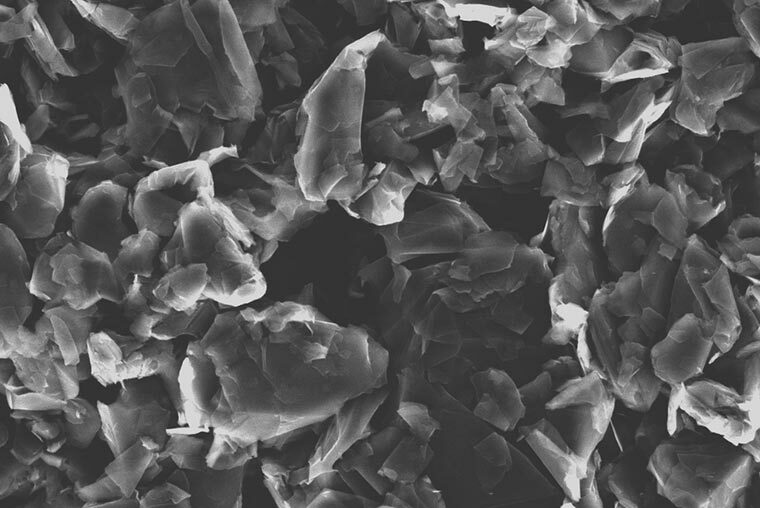 Elcocarb B/SP contains an optimized mix of graphite particles dispersed with high conductivity carbon-black nanoparticles in order to reach lowest sheet resistivity and excellent electron transfer rate. Elcocarb G/SP is an equivalent execution without carbon-black, for whose who prefer a graphite-only formulation. 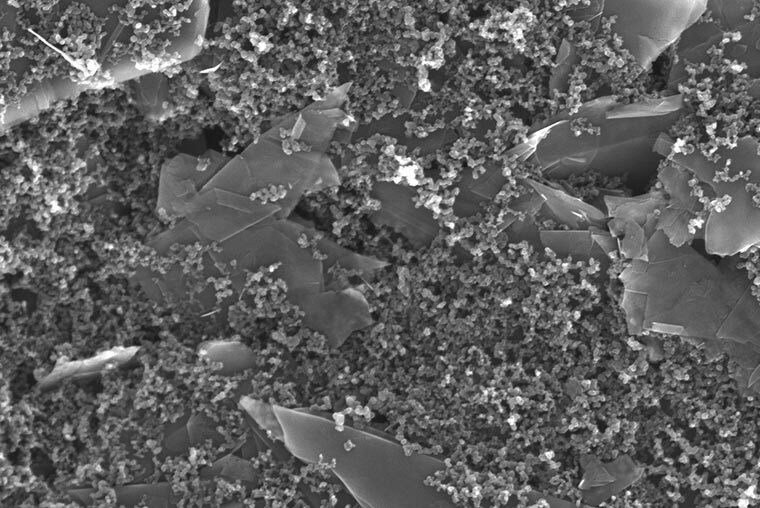 Firing our Elcocarb products at 400°C leads to a remarkably highly conductive, hydrophobic and non-metallic layer that remains porous. The chemical inertness of this layer enables a broad range of material compatibility with no risk of corrosion. Carbon films obtained from Elcocarb B/SP and Elcocarb G/SP demonstrate excellent adhesion on a variety of substrates, such as coated glasses and metal oxide layers. They are ideal for monolithic assemblies in conjunction with our Ti-Nanoxide and Zr-Nanoxide products. Those carbon layers also feature a very good electron transfer rate to iodide-based Dye Solar Cell electrolytes such as our Iodolyte and Mosalyte products, as well as towards Hole Transport Materials and Perovskite layers found in solid-state solar cells. Elcocarb B/SP and Elcocarb G/SP are available for retail on our online shop, from 10 g and above. Done with glass manipulation hurdle! 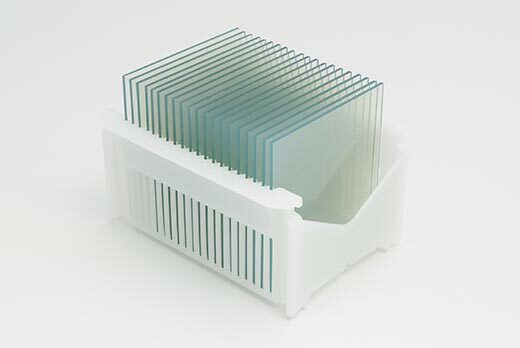 We are now offering a carrier tray for 10 x 10 cm plates which can hold up to 20 pieces. Made from high-density polyethylene, the carrier allows for bath treatment in aqueous solutions, as well as in most common solvents, could it simply be substrate cleaning, or batch chemical treatment of your samples. The conical section of the grooves ensures that the surface of your plates is not touched by the carrier at any place. Get updated a few times per year with important news and product releases. We sent a confirmation to . Please check your mailbox and follow the validation link given in this message. No worries, we won't share your address anywhere else, and you can easily opt out whenever you like. Visit our press corner to get all of our company information.